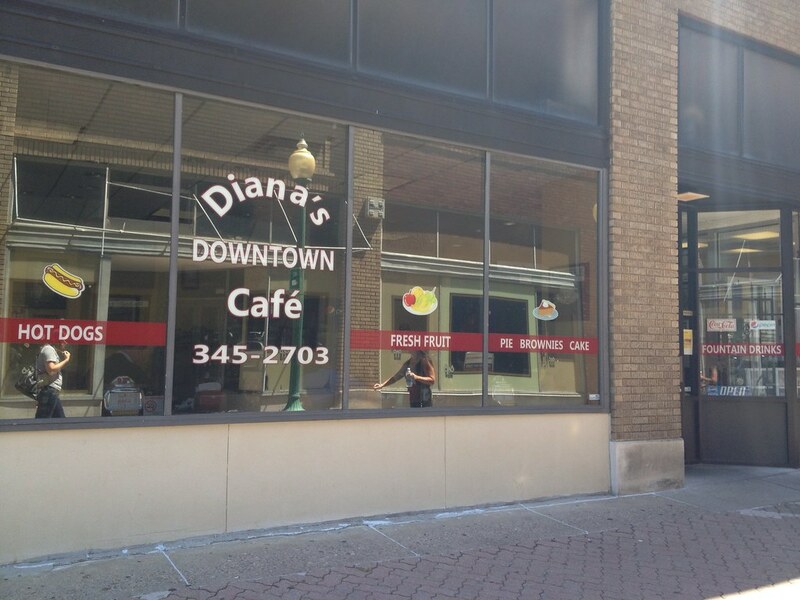 In my never-ending quest to find the best downtown dining option at lunch, I stopped at Diana's Downtown Cafe. 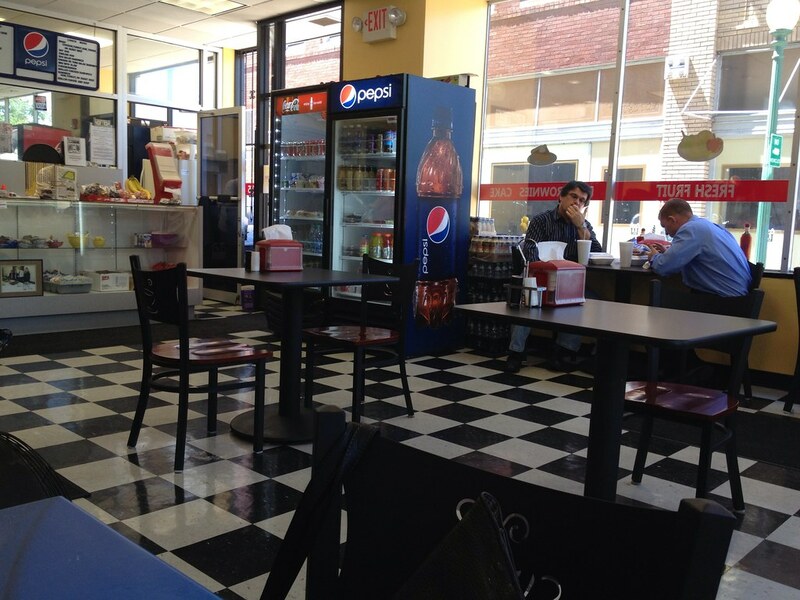 I believe it used to be on Capitol Street but moved to its Summer Street location last year. I felt as if I was missing out on some secret club when I tried to order. 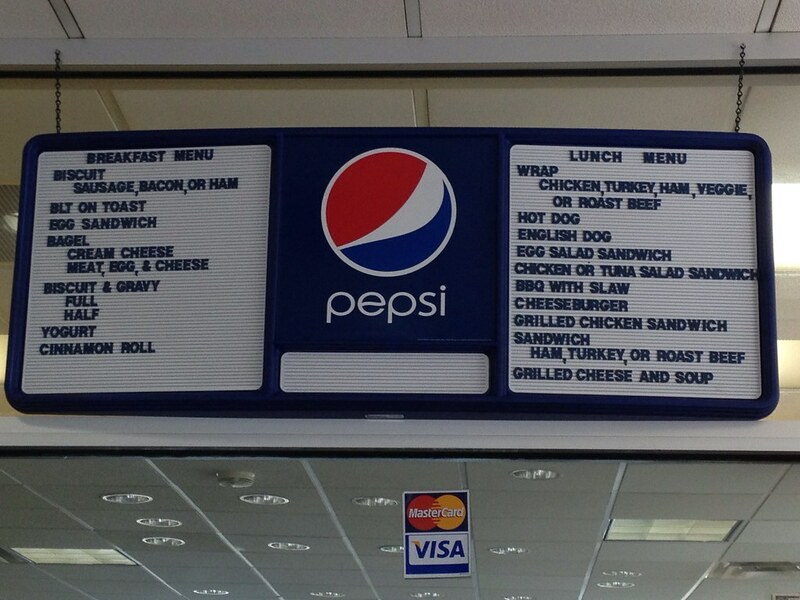 They have a basic lunch menu on a board above the counter, but there was something else on the countertop, and then people were ordering OTHER things that I couldn't find listed anywhere. What gives? I want one solid location to check out all my options. I totally understand if there's one board that gives the day's specials, since they may rotate, but I don't want to search 5,000 places for options and then not even have all of them! Anyway, I heard some guy order a chicken quesadilla. I asked the woman behind the counter if they were any good, and she said they were the best in town. Well, then. After a bit, our food came out. My friend, Karie, had hers without sour cream. Mine came out with (yes!). But that inconsistency isn't cool. Was it good? Yeah, it wasn't bad. 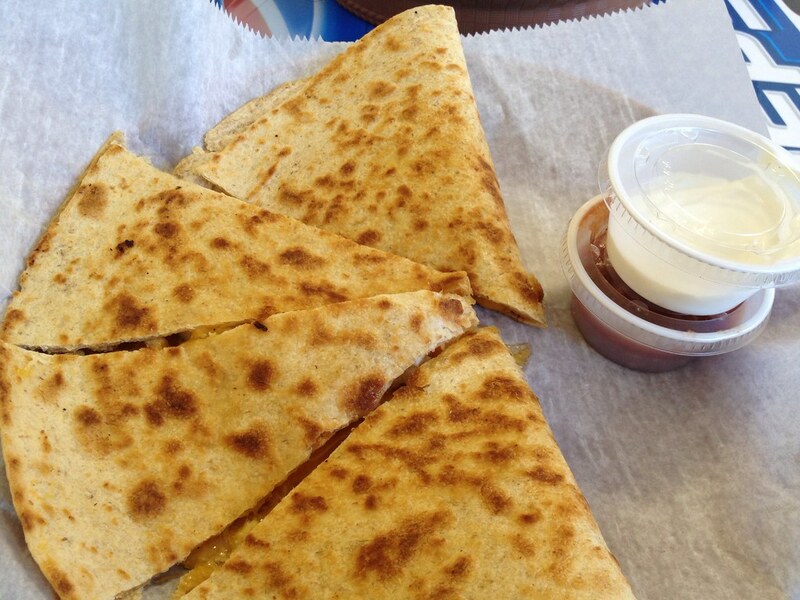 It's your average quesadilla. Nothing special here. Tortilla, cheddar cheese, chicken. Then Karie found a hair in hers.